WOW, I’m blown away by the book! It’s so beautiful on every level. I absolutely fell in love with your website and the book, what a neat story behind an awesome book!!!! What a great product. I’m pregnant and I cannot wait to use my book!!!!!!! I LOVE your book.... BEAUTIFUL website too!! There’s no other baby book out there quite like this one. WOW! I’ve never gotten a personal e-mail response to an order. So nice... My compliments on the book. It is quite different and really fun... It is much more than your ordinary baby book... Thank you for your personal attention to this order. I got your darling book today! I LOVE LOVE LOVE it! It’s adorable! Hi! I love this book! What a beautiful web site! I received the book today. It’s beautiful! 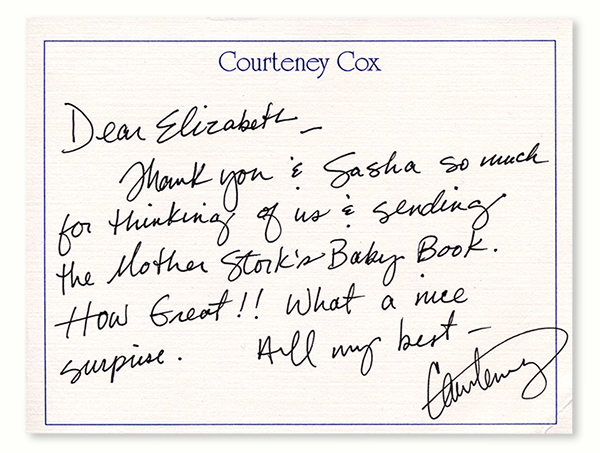 Mother Stork’s baby book is like no other book out on the market. This gorgeous book is such a classic! The illustrations, poetry, beautiful paper, & excellent presentation give you a keepsake to capture your baby’s priceless moments... in a place that is worthy of their value! If you’re looking for cheesy bears & blocks, this isn’t it — but if you’re looking for a timeless classic, you’ve got it!